Play games that were made in just one weekend at After the Jam! Published on February 7, 2018 in Events. 0 Comments Tags: event, GGJ, GGJ18, global game jam, Let's Make Games, playtesting. Global Game Jam 2018 went off amazingly well with the theme of “Transmission,” making for great collection of interesting games. 80 jammers created over 30 games across one weekend (which you can check out here), but alas we did not get time to play each other’s games after the event! Therefore Let’s Make Games shall once again be having an annual “After the Jam” event, where everyone is invited to come enjoy this eclectic mix of creative games made super quickly. Global Game Jam Perth: After the Jam! Tickets: Free for Jammers, $10 for everyone else via Eventbrite. Please note: This will be a alcohol free event. Without the assistance of our sponsors, SAE Institute Perth and The Nostalgia Box, Let’s Make Games could not have had this years’ global game jam at all. A special thanks also goes to the very kind people at Pixel Sift who wrote up an article about the jammers, and Gamecloud who sent serial jammer Nick Ballantyne to jam with us and tell everyone how it all went down. We hope to see everyone at After the Jam! 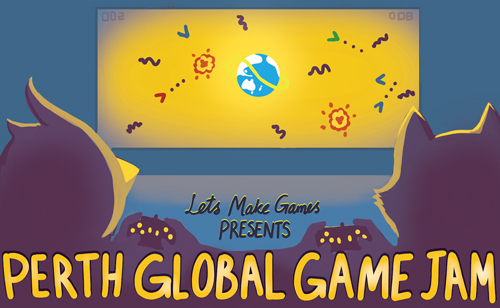 The Let's Make Games archives for the ggj18 tag.